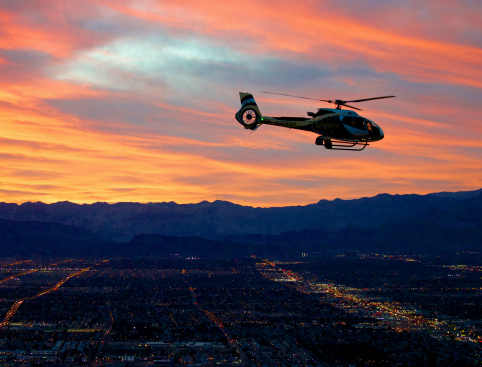 Enjoy a helicopter flight over the Las Vegas Strip and see the lights and sights as you’ve never seen them before! This ticket includes pick-up and drop-off by luxury limousine from your Las Vegas hotel! A narrated helicopter tour hosted by your pilot. A night tour of the dazzling Las Vegas Strip. You will need to hand over a printed copy of your ticket when you arrive for your flight. What: Helicopter tour of the Las Vegas Strip. Don’t Miss: Amazing aerial views of the Las Vegas Strip! Experience Vegas the most thrilling way possible – take a helicopter flight over the Las Vegas strip and witness the glorious lights and sights as you’ve never seen them before! 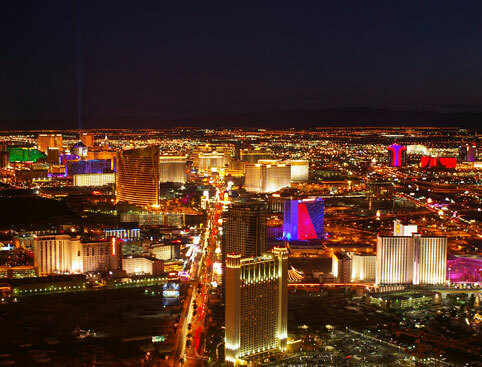 Select the Las Vegas Strip Night Flight with Limo Transport ticket to include pick-up and drop-off by luxury stretch limousine from your Las Vegas hotel! 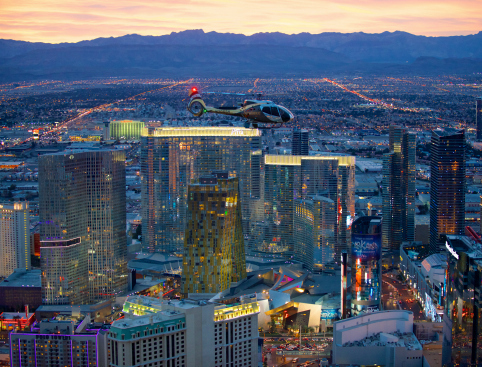 This 12-minute heli flight takes you soaring over the bright lights of the Strip, with incredible aerial views from the comfort of your state-of-the-art helicopter! Your pilot will entertain you with fascinating stories and little-known facts about Las Vegas and all the world-famous sights you’ll see, including Caesars Palace, the sky-scraping Stratosphere Tower and the bright beam of the Luxor pyramid! Heading towards the Fremont Street Experience Downtown, keep a look out for the MGM Grand, Flamingo and the Venetian. 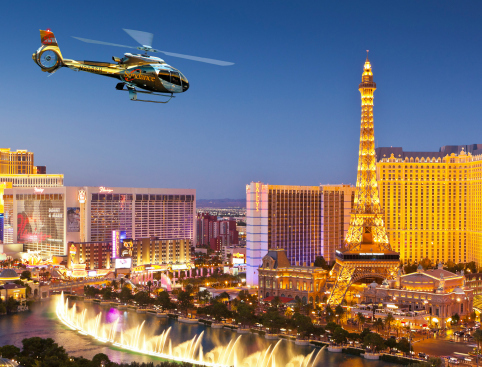 This Las Vegas helicopter flight is perfect for celebrating a special occasion, or just to have some serious fun, Vegas-style! Make it extra special with transport by Limo! *Pick-up is available from most Las Vegas hotels – please call us if you would like to check. With Limo Transport: Pick-up is around 7pm and the flight will be at approximately 8pm. Please Note: Departure times may vary slightly due to sunlight changes each season. Wheelchair access can be provided on this tour. Once you have made your booking, please call the number provided on your e-ticket to inform the company that you will require disabled access.